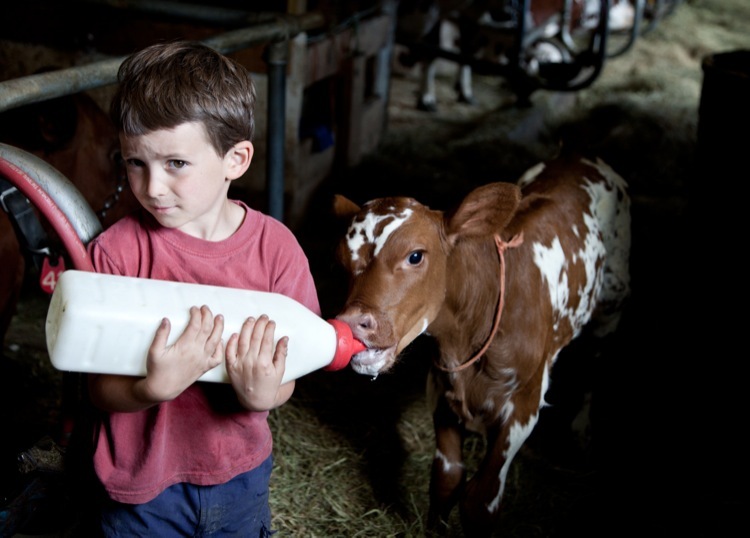 Jasper Hill is a working dairy farm with an on-site creamery in the Northeast Kingdom of Vermont. An underground aging facility maximizes the potential of cheeses made by the creamery, as well as those made by other local producers. Leftover whey from the cheesemaking process is fed to heritage breed pigs, roaming the woodlands beyond the cows' pasture. Jasper Hill's mission is to make the highest possible quality products in a way that supports Vermont's working landscape. They are driven to be the standard bearer of quality and innovation in the artisan cheese industry while promoting their regional taste of place. All of their Ayrshire cows are pastured when the weather allows, and their diets are supplemented with non-GMO grains.